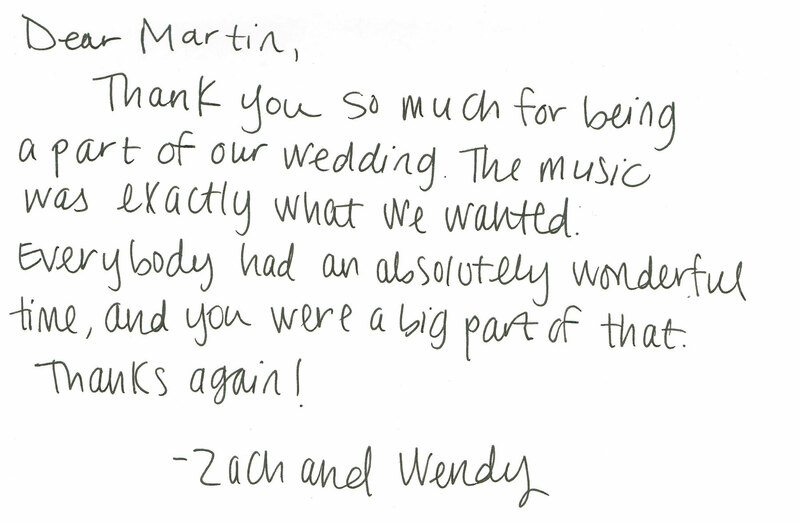 Thank you so much for being a part of our wedding. The music was exactly what we wanted. Everybody had an absolutely wonderful time, and you were a big part of that. Thanks again!